Who loves to plan lunch? I've got to be honest, planning dinner makes me want to take a nap. I get finished with our weekly dinner plan, only to realize we need to eat breakfast and lunch too? A short time ago, our weekly lunches could be some form of leftovers. Those were the days you guys. Three kids later, our kitchen hasn't seen a leftover since 2007. Our people like to eat. I've got a hunch, your family might be like ours. 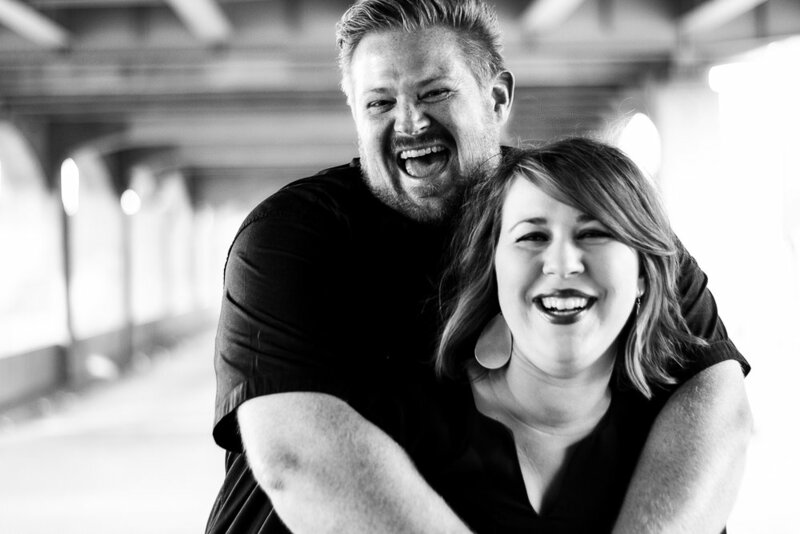 You really want to save money on lunch but don't know where to begin? I've got your back. Here is a simple weekly lunch plan. My meal plan comes right from my local Aldi store. Everything you need for lunch, you can pick up there. No extra special trips required. Of course, if you shop at another grocery store, you can use my plan there too! Do what works for you. At the end of this post, I included a shopping list and a prep ahead option. If you want to prep your lunches on the weekend, this option is for you! 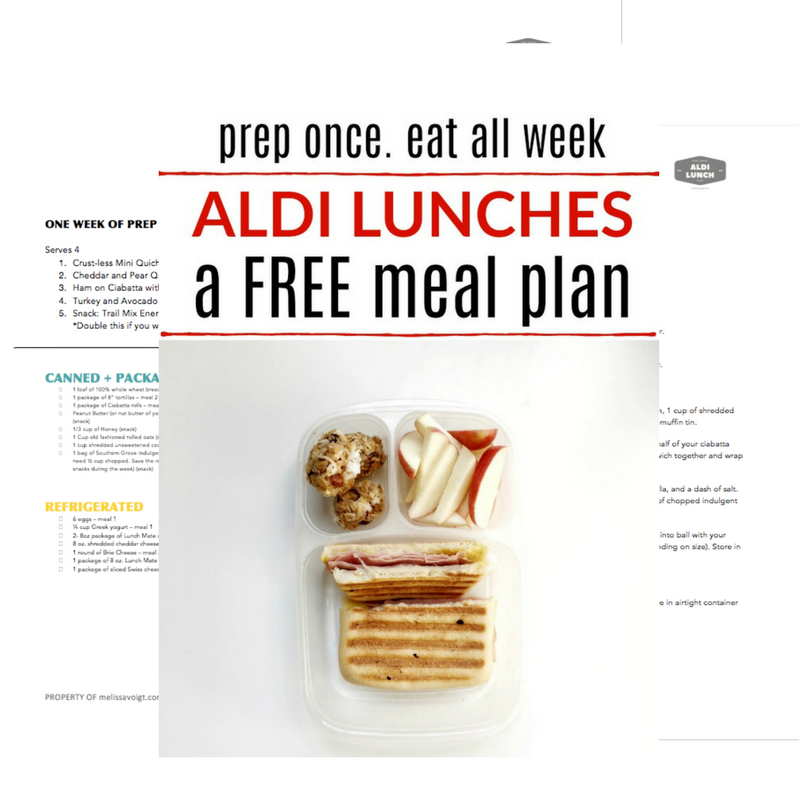 Also, check out our FREE Aldi prep ahead lunch plan below. It includes free printable shopping list and prep schedule. 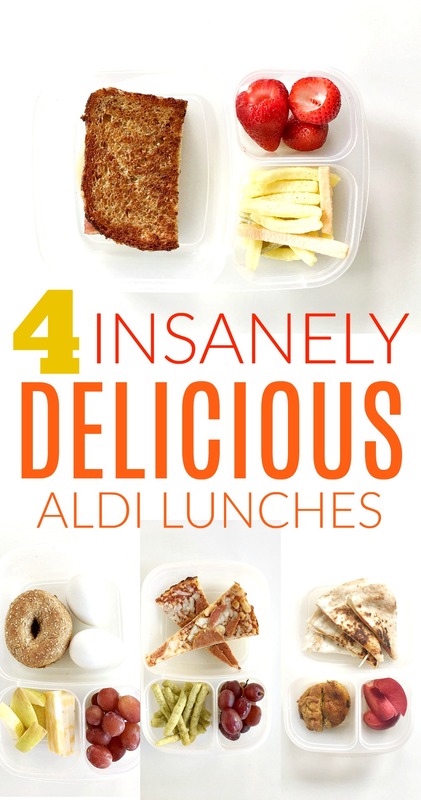 Includes shopping list and prep instructions for one week of Aldi lunches. A FREE printable. This lunch plan is for 4 people. My kids are older so adjust portions as needed! This lunch is a crowd pleaser at my house. Grill up salami and provolone on whole wheat bread. I grill these up in the morning while the coffee is brewing. It doesn't take much time and is so good. Serve with some veggie chips and fresh fruit. Pepperoni quesadillas are my boy's absolute favorite lunch! It could not be more simple. Take one 8" flour tortilla, layer with shredded cheddar cheese and turkey pepperoni. Lay another tortilla on top. Place in a skillet with a little butter and cook until crisp and the cheese is melted. Slice in triangles. I served this with leftover pumpkin muffins and sliced plums. My husband was out of town all week and I found a lonely pizza at the bottom of the freezer! LUNCH! Sometimes lunch is using what you have and a frozen pizza is a cheap way to feed your people. Serve with veggie chips and grapes. Hard boil 2 eggs and place in your lunch container. We love Aldi's whole wheat mini bagels for breakfast and lunch! For this lunch, we toasted 2 bagels and spread with peanut butter. Serve with sliced apple, slices of cheddar cheese, and grapes. Package of pre-made muffins or box muffin mix or ingredients to make your own muffins. *note on fresh fruit: feel free to substitute whatever fruit is in season at your local Aldi! Frozen fruit is also a great option! Have a busy week? Use this prep ahead guide to prepare all your lunches over the weekend! Prep once and have lunch ready all week! PRODUCE: Wash all your fresh produce. Cut the strawberries and place in an air-tight container. Remove grapes from stem and place in air-tight container. Hard boil eggs. Place in your refrigerator. Muffins: If making muffins at home, prep those now. Cool and place in your refrigerator. Save money with this delicious Aldi meal plan. A frugal, healthy option for your family. Prep your lunches at once and have easy school lunches ready all week! Our Aldi recipes are easy and delicous. Download your Free meal plan today! the UNCOOKIE. An easy, cheap, delicious dessert! Are you looking for an amazing dessert that you can throw together in a few minutes? The UnCookie is for you! It is easy to make, delicious to eat, and every single ingredient you can buy at your local ALDI. It is easier than buying a brownie mix and tastes better too! We want to introduce you to your next go-to dessert!